This strung necklace with a wirework pendant centrepiece is the first in my 'Wire And Bead Centrepieces' series. 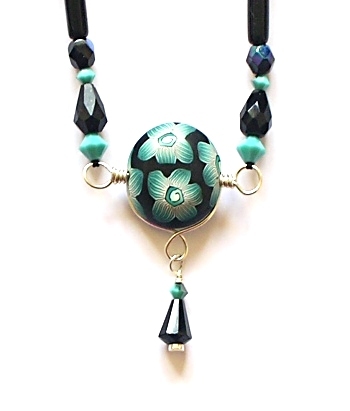 The series grew out of a need to develop a way to showcase focal beads without over powering them. The full instructions and formula can be found on the 'Step by Step Wire' website or downloaded from my website here.